This is a question I get asked often. While the answer can vary greatly depending on what you do with your computer, the following app can show you in detail where the disk space is being used. 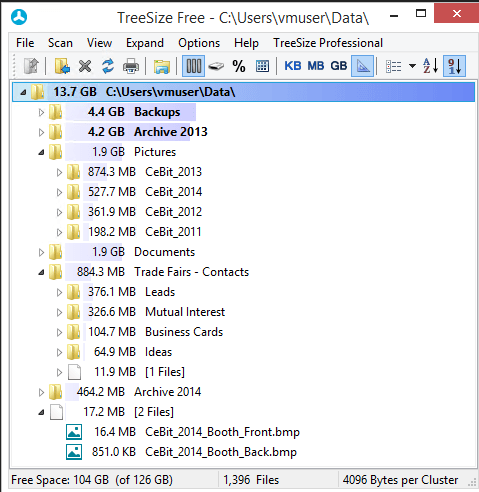 TreeSize free (download from https://www.jam-software.com/treesize_free/features.shtml ) is an application that can scan a disk or folder and display in order of space used the folders that are taking the most amount of space. It is less that 10MB is size itself so should install even the fullest hard drives. While I do not recommend blindly deleting any files, this application may help you determine which folders to look at further. I do not get any compensation from making this mini-review. This post simply intends to help users looking to free disk space. How many innocent pc users fall for this trap?